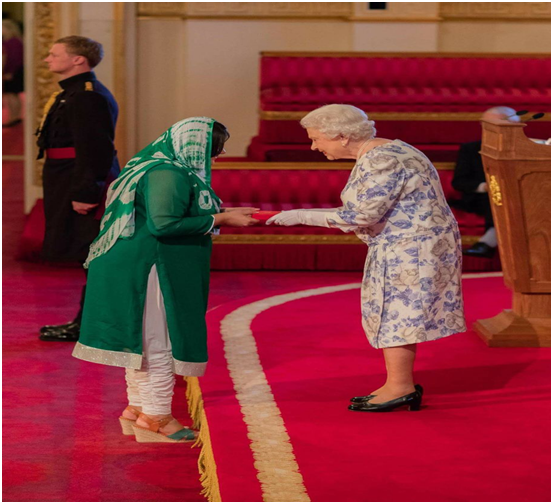 It’s a matter of prestige that one of the research students of Food & Biotechnology Research Centre, PCSIR Labs, Lahore, Ms. Zainab Bibi, achieved Queen’s Young Leaders Award, 2016 from Queen Elizabeth II at her Buckingham Palace. She carried out genomic characterization of different members of Brassicaseae family for their potential of making biofuels. Her research work was carried out at Food and Biotechnology Research Center, PCSIR Labs Complex, Lahore. 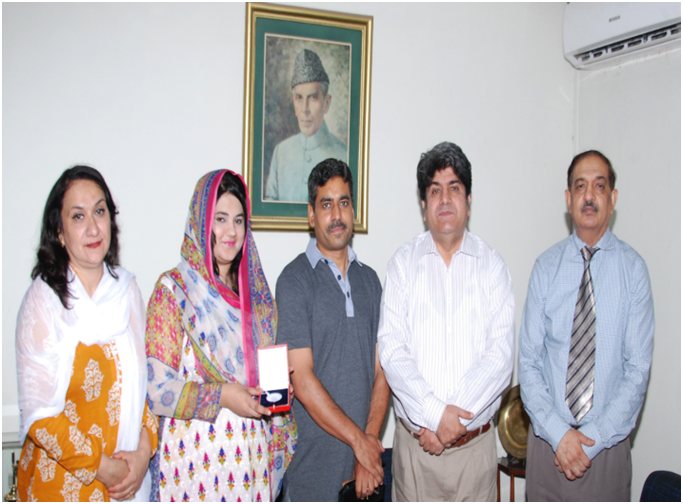 Chairman PCSIR, Dr. Shahzad Alam congratulated Ms. Zainab Bibi, Director General, PCSIR, Dr. Quratulain Syed, Head, Food & Biotechnology Research Centre and Dr. Yasir Saleem, SSO. Chairman PCSIR encouraged youth for hard work and urged for achieving such excellence in future.